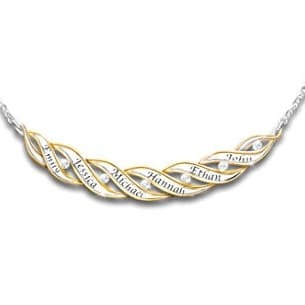 Celebrate the love that keeps your family together with the sparkle of A Family of Love Personalized Diamond Pendant Necklace. Unique jewelry design features our Brilliant Motions™ innovation, providing a beautiful ballet of movement and light with just the slightest motion. 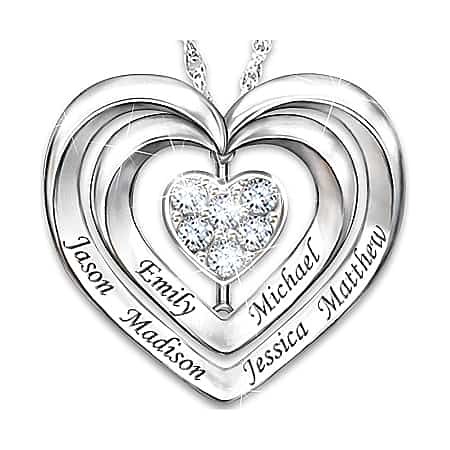 Glittering with genuine diamonds in a solid sterling silver setting, the heart-shaped design of this meaningful family pendant is truly unique. 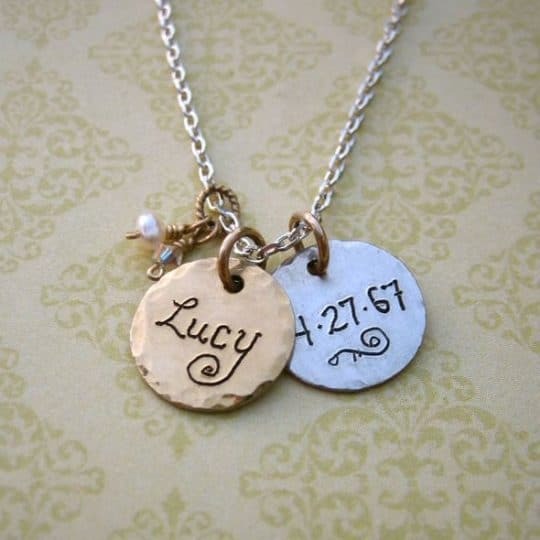 Framed by two larger hearts, the sparkling diamond heart in the center is always moving, spinning amidst the elegant engravings of your family’s names.